Hdpe Chemicals Storage Tank, Capacity: 500 - 75000 Ltr. Manufacturer and stockist of hdpe chemical storage made from virgin pe matel. 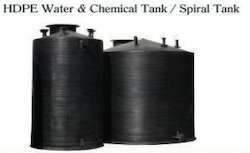 Being a customer oriented enterprise, we are engaged in providing a wide array of HDPE Chemical Storage Tank.